Save up to 40% on over 3,700 hotels worldwide. Save up to 30% off when you book 15 days in advance. Plan in advance and save on your booking in France, Germany or Austria. Save 20% off Sofitel rooms when you stay 3 nights or more. Save up to 20% when you book min 15 days in advance with Ibis Hotels in hundreds of destinations worldwide, including Mexico. Life is unpredictable. Even if you don't know where your next business trip or vacation will take you, you can already know where you'll sleep when you book with Accor Hotels. With Accor Hotels family hotels, including Ibis and Novotel, all over the world, you'll never have to find yourself without a comfortable place to stay. Book yourself some savings too – use an Accor Hotels coupon code. 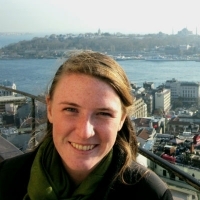 Travelers come in all types – business travelers, families on vacation, honeymooners, and student backpackers. Even if we all look for something a little different out of our travel experience, just about everybody wants somewhere clean and comfortable to stay. That’s where Accor Hotels comes in. With locations all over the US, Canada, and the globe, you can be sure that no matter where your travels take you, there’s an Accor hotel there waiting for you. The Accor family includes hotel chains that are perfect for casual travelers and families. Ibis, Ibis Styles, and Novotel are great options that offer locations the world over. These hotels are well-designed and have all the amenities a modern traveler requires. If you’re on a strict budget, consider booking your stay at Ibis Budget, which brings all the same services for a more affordable price. Business travelers should certainly consider making your trip more comfortable and productive with a reservation in an Mgallery or Pullman hotel. These high-end hotels were designed with business travelers in mind, and are ideal spaces for organizing meetings and events. Accor Hotels Group also includes some specialty hotels around the world, including the Grand Mercure hotels in China, Hotel F1 in France, and Orbis Hotels in Poland. Wherever your travels take you, you can depend on your family of Accorhotels for a great night’s stay. Headquartered in Paris, France, the Accorhotels group was founded in the 1960s by Paul Dubrule and Gérard Pélisson. From just a single hotel, Accorhotels now includes 3,500 hotels around the world. Their goal is to offer comfortable and convenient lodging to every type of traveler at a reasonable price. Before you pack your bags and grab your boarding pass, make sure you have a great place to stay when you arrive. You’ll happily slip between the sheets at an Accor hotel thinking about how much you saved with an Accor Hotels coupon code. The day of your big trip is drawing near, and your excitement is mounting. In all your enthusiasm, don’t forget to reserve yourself a place to stay with Accor Hotels! If you have any questions about making your reservation, read below to find the answers you need. 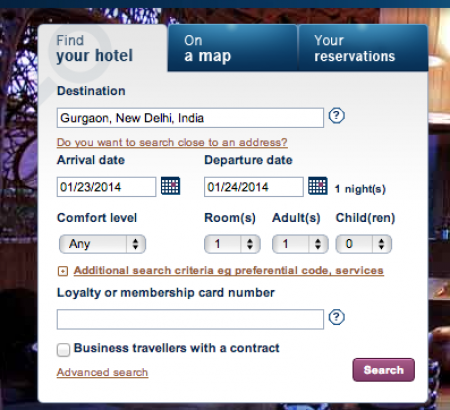 Why isn’t my Accor Hotels coupon working? Most commonly, if a coupon for Accor Hotels isn’t working, it’s because the offer has expired. Take another look at the expiry date and make sure it hasn’t passed already. Another possibility is that the coupon has restrictions, like certain dates the booking must be made for, certain areas the promotion applies to, or a minimum number of nights you must book in order for the discount to be valid. Check the coupon restrictions and make sure your reservation matches them. 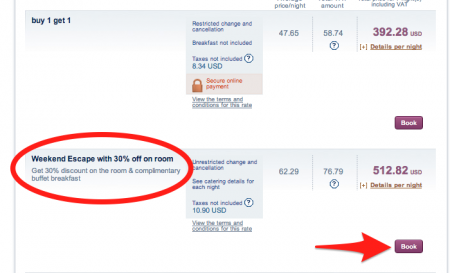 What are Accor Hotels coupon restrictions? Where do I look for them? If any restrictions apply to the coupon you want to use, you’ll see a small “i” or “information” symbol in the upper right-hand corner. Click on this to reveal the restrictions. How does the Express Reservation function work? To use Accor Hotels’ Express Reservation system, you should already know which hotel you want to stay it. You will use it’s 4-digit code number, which you can find in an Accor Hotels guidebook or on the site of the hotel. The code will be displayed just about the hotel’s address. Type in the code and then proceed to make your reservation. I need somewhere to stay tonight. Can I make a last-minute booking? Yes, you can make last-minute bookings for Accor Hotels online up until a certain time in the evening, which varies according to the hotel. After that time, you should contact the hotel directly by phone. You can easily find the phone number of any Accor Hotel by pulling up its page at AccorHotels.com. Do I need to pay for my stay when I make my reservation? No, but you will need to provide your credit card information to make a reservation. Your card won’t be charged, however, until the end of your stay. I’ve changed my plans. How can I cancel my reservation? First, make sure you have your reservation confirmation number handy. Then go to the reservation change/cancellation page here and enter the number, your last name, and your arrival date. If you prefer to cancel by phone, you can call 1-800-221-4542 for help with changing or canceling your reservation. If you do not cancel your reservation, your card will be charged at the end of your stay even if you do not show up, so if you change your plans, be sure to cancel! How do I contact customer service at Accorhotels.com? In the United States and Canada, you should call 1-800-221-4524 to get in touch with a service representative. You can also email Accor Hotels by using one of the email forms on this page for help with specific issues. Here you’ll also find international phone numbers and contact information. I found a great Accor Hotels discount I want to share! How can I post it to your page? At CouponPal.com, we spend our days scouring the web for the best deals. We try to make sure that every deal we offer is valid, and for that reason we currently don’t allow users to post their own coupons. We still want to hear about the deal you found, though! Shoot us an email at contact@couponpal.com to share deals, ideas or suggestions. Many people think travel is expensive, but it doesn't have to be. With Accor Hotels coupons, you can save money without sacrificing on comfort. Simply follow these instructions to get a better deal. First, find a coupon for Accor Hotels that fits your needs at CouponPal.com. When you find a deal you like, click "Get Deal." Most Accor Hotels coupons don't require a code; the savings will be automatic. 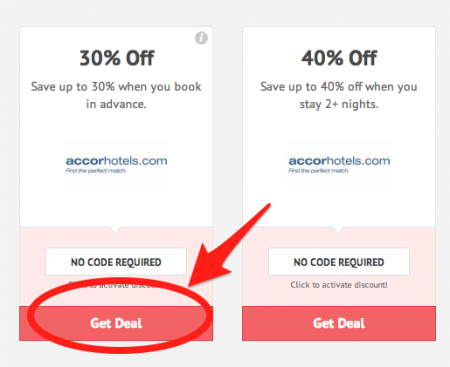 After you click "Get Deal," you'll be automatically redirected to Accorhotels.com. On the left side of the Accor Hotels homepage, you'll see a search box. Enter your destination city, the number of travelers, dates of travel, and your loyalty number if you have one. Then click "Search" and a list of hotels in the area of your destination will appear. When trying to decide on a specific hotel, make sure you use the map function that will show you where the hotel is in the city. That way, you can choose a hotel that is most convenient for you. When you find the hotel you want to stay in, click "Book." On the next page, you'll see all the deals that are available for the hotel and dates you chose. You should see your Accor Hotels discount reflected in the room rates and offers that appear on this page. Find the deal you like best and click "Book." Next, you'll be able to choose optional extras, like breakfast or special room services. Once you make your selections, click "Confirm." On the following page, you'll have the option to either sign in to your account, create an account, or make your reservation as a guest. Then you'll enter your personal and credit card information to hold your reservation. When you're done, click "Confirm" to finalize your booking.